Finding the rightful home for lost artifacts…in England, the Metropolitan Opera in NYC, and Virginia! I was working with my dad in the barn the other day and we came across a bunch of old picture frames. One of them had this picture in it. “It looks European,” said Dad. I wondered why a picture of this church would end up in my dad’s barn, but he explained that he had often gone to tag sales to buy used picture frames that he would re-use as the family needed. I hate to see pictures separated from their owners, so am guessing that this showed up at an estate sale after someone died. Still, I wanted to see if I could track down the location of the beautiful church. Maybe someone would want the photo. The back of the picture was stamped with “Copyright North Bucks Times, Bletchley District Gazette.” I looked up Bletchley online and found a wonderful website called Talk About Bletchley setup by folks in England who were collecting historical information about their community. I emailed an inquiry with the photo above. Voila! I received a response from a kind person that had done a little research. 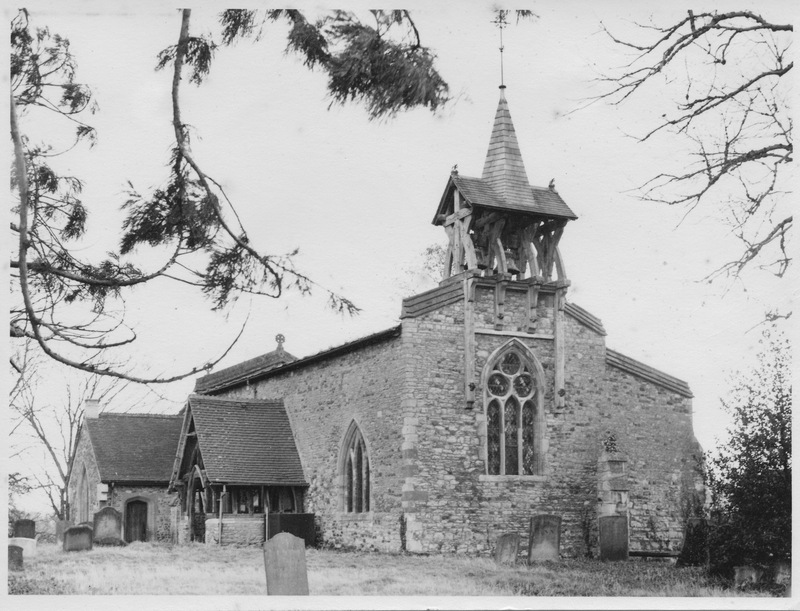 He wrote, “I have found that this picture is of St Mary’s church in Salford – a small village to the east of Milton Keynes, near junction 14 of the MI motorway….The local newspaper did feature images regularly from nearby villages during the 1950s and 60s so this would have been quite in keeping with the publications at the time.” He also sent me a link to the modern day article on the architecture of Salford Church. Cool! The exchange was rewarding, but I realized that I had recently connected with museums concerning two other items I had found at my dad’s house. 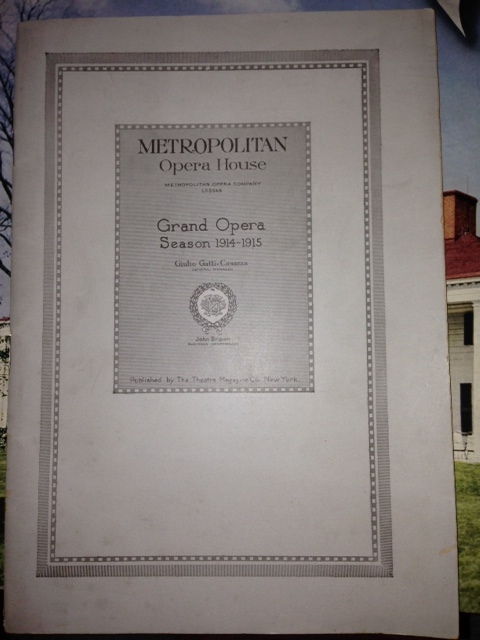 I had discovered a copy of a Metropolitan Opera House program from 1914-1915 in my dad’s attic. I sent it to the folks at the Met in NYC and they were thrilled to get it. They wrote back a kind note that said “…thank you for the 1915 Metropolitan Opera program for ‘Boris Godunov’. Adamo Didur created the title role for the Met, so the program has added significance for us.” I thought that is was so neat that the Met maintained archives with a curator! 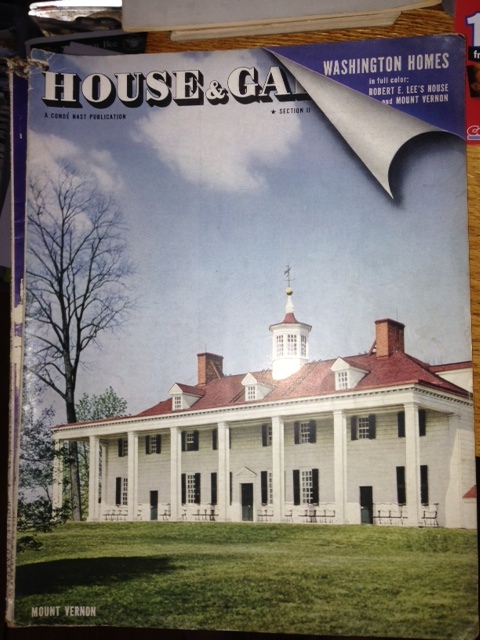 The other artifact that I found a home for was a 1940 issue of House & Garden that profiled Mount Vernon. The curator at George Washington’s Mount Vernon estate was thrilled with this gift as well. I know that we all keep stuff in our attics, but it would be very cool if from time-to-time we could donate our keepsakes to museums that could preserve them for the next generation. I’m thrilled that these three little mementos didn’t end up in the trash!